Today in Masonic History William Clark Gable is born 1901. 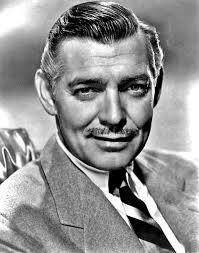 William Clark Gable was an American film and stage actor. Gable was born in Cadiz, Ohio. Gable's father was an oil driller and his mother, passed away just 10 months after Gable's birth. Gable's father remarried when Gable was two years old. Gable's step mother would get him interested in music. Gable's father discouraged his son from things like music and literature, encouraging him to follow more "manly" pursuits. By 13 he was the only boy in the men's town band. At 17 Gable would become interested in acting, he would not pursue it though until he was 21. This was after his step mother had passed away and his father had moved to Tulsa, Oklahoma to work in the oil fields. Gable would begin traveling with second rate theatre companies around the country. Eventually he would end up in Oregon. There he would meet Josephine Dillon, a woman 17 years his senior. She would become his stylist, manager and first wife. The couple would move from Oregon to Hollywood in 1924. For the first few years Gable was in Hollywood, he would get bit parts and play as an extra in silent pictures. Eventually he would return to theatre. There he would meet Lionel Barrymore, the two men would become lifelong friends. Barrymore encouraged Gable to work more in theatre. From about 1926 until 1930 Gable would work in Houston and New York. In 1930, Gable would divorce Dillon and almost immediately (within days) marry his second wife. At this same time, Gable came under contract to MGM. Many of initial film were roles where he was the villain. Through the 1930's Gable's star power grew. In 1939, the film that he is most arguably known for, Gone with the Wind was made. Gary Cooper was the first choice for the producers first choice for the role of Rhett Butler. Cooper turned down the role and pressure mounted on the producer to get Gable for the role. After Gable accepted the role Cooper was quoted as saying, "Gone With the Wind is going to be the biggest flop in Hollywood history. I’m glad it'll be Clark Gable who’s falling flat on his nose, not me." The Gone with the Wind of course was far from a flop and Gable received a best actor nomination for his role. Gable was became friendly with many of the cast members, in particularly Hattie McDaniel. It was because of this friendship that Gable initially planned to boycott the premier of Gone with the Wind because McDaniel, an African-American, was banned from attending the premier in Atlanta, Georgia. McDaniel pleaded with Gable to go and he eventually relented. Prior to World War II, Gable would marry Carole Lombard. Unfortunately should would pass away shortly after the beginning of the war. Prior to her passing she had encouraged Gable to join the military and do his part for the war effort. Gable was on the fence about serving and MGM was reluctant to let one it's biggest stars go off to war. After Lombard's death, MGM allowed Gable to enlist, sending a cinematographer with Gable to enlist with him and accompany Gable through training. After Gable's enlistment General Henry "Hap" Arnold approached Gable with a special assignment. Arnold wanted Gable to make a recruitment film for aerial gunners. Gable accepted the assignment and started making the film during combat missions he was flying out of England. By the time the footage was ready to be put together though, the recruitment problems they had for aerial gunners had already been solved. During World War II, Adolf Hitler was fascinated by Gable that he offered a reward for anyone who could bring Gable to him unharmed. After the war, Gable returned to making films. During his career spanning three decades Gable would be the leading man in more 60 films. He would receive several Oscar Nominations and would win a Best Actor Oscar. Gable was a member of Beverly Hills Lodge No. 528 in Beverly Hills, California.